Thank you so much for all your patience with us as we planned our wedding. Everything turned out wonderful, and much was to do with your expertise and professionalism. We hope to work with you again in the future!" No need to look any further! 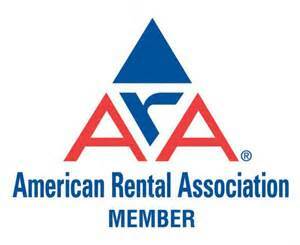 This company is hands-down the BEST tent and rental company on the Eastern Shore. From my first conversation with Heather, I knew that our wedding tent, tables, chairs, linens and lighting were going to be amazing. We received so many compliments on the night of our wedding about how pretty our tent was and how they couldn't believe that a tented wedding could feel like a gorgeous ballroom. We had purple uplighting and swag twinkle lighting throughout the ceiling and she was even able to find a specific linen that I was in search of. The setup went well despite some of the weather we experienced the week of the wedding and Willie and his team were phenomenal in making sure that everything was secure. We had 170 or so seated guests, a dance floor, and some cocktail food stations suited comfortably in the 60x90 pole tent. They were flexible when we needed to make changes even in the final hours of preparation. A superb company that we would highly recommend for an occasion of any size." The Comegys Family and everyone at Ebb Tide Tent & Party Rentals were SO AMAZINGLY HELPFUL!! Being from Kent Island, I've always thought of Ebb Tide as THE place to go for tent rentals-- they have an excellent reputation for service-- and they definitely lived up to it! We had an initial sit down discussion with Mrs. Kathy and she helped us with A LOT of questions that we had for her. She gave us great advice, was never pushy, and it made the planning much easier. We went through them for the table cloths, chafing dishes, silverware, etc which made it much easier than trying to coordinate with another vendor. They provided lights for the tent and even hung up some tent pole covers I had crafted which made the space warm and inviting. We got married during the tail end of a hurricane so we actually had the ceremony under the tent and it was wonderful. The sides definitely came in handy! Due to the weather we had a lot of canceled RSVPs and Ebb Tide even worked with us on the number of tables last minute. The tent was huge and felt very sturdy in the wind and rain, the dance floor was essential for not slipping and falling. 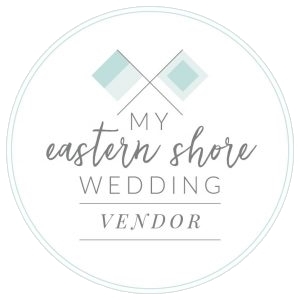 Everyone at Ebb Tide was extremely helpful and professional and I would use them anytime & every time I needed a tent rental." Thanks so much for your support of our Field to Fork Dinner. Thanks to the generosity of our vendors, farmers, producers and guests, we were able make a large donation to the Maryland and Capital Area Food Banks. It was a pleasure working with you. " We had an amazing wedding and are so glad we decided to use Ebb Tide Tents. Kathy, in particular, was very professional and helpful, not only with advice about her services, but about our wedding in general. We ultimately had to use siding for our tent, as it turned out to be cooler than we thought. The chinese lanterns illuminated our space so beautifully, and we were able to fit all of our guest tables, band, and bar under the tent. Kathy even provided us with layouts for our tables and chairs, which was very helpful. Ulitmately, the tent was very integral in making our guests comfortable and we are so glad that we didn't gamble on the weather being warm enough. It was totally worth it." Ebb tide rocks! When I first met with Kathy I was so appreciative for her experience and expertise. She had such good suggestions. She saved me a lot of money on unnecessary things and helped me make all the components of the wedding flow nicely. Willie was awesome with setting up and installing our lighting. We had pin lighting on our table centerpieces and up lighting on the columns at our venue. He did an amazing job with our lanterns, creating such a fun environment! Everyone was commenting on them! I will use ebb tide for future events and have and will continue to recommend them to everyone. Thank you for creating a spectacular setting for the most memorable day of our life!" Ebb Tide went above and beyond to ensure our wedding was a success. Heather and Willie know the business inside and out - no job is too small and no request seemed too trivial. They made several site visits to our home where the wedding was held and the team that helped assemble the tent was fantastic. They are competitively priced and offer a premium product and service. My parents have used Ebb Tide for more than 20 years on various events and I'm so happy we could too! Lovely people - felt great to work with such committed individuals. Ebb Tide was great! Kathy is very quick to respond and was very easy to work with. We met in her office and she explained money saving ideas and went over all of our options which we really appreciated. We had several contract revisions due to some changes on the caterers end and Kathy kept track of everything seamlessly. Her son, Willie, was there the day of set up and although it was raining that day, he was out there with his staff for hours making sure everything was perfect. I would highly recommended Ebb Tide to anyone! Kathy, Thank you so much for keeping up with our every expanding party last Saturday night. The tent was perfect. A special thanks to all of your help who went over and beyond to make our party space so special. We wanted to thank you so very much for the amazing job that Ebb Tide did on our Wedding day. You made everything even more beautiful and working with you was a pleasure. We without a doubt will highly recommend your company to family and friends in the future.